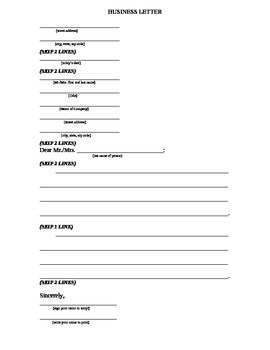 Outline for students to write a business letter. In the format of a business letter with each part labeled. Blank lines for each section for students to fill in with their own writing.